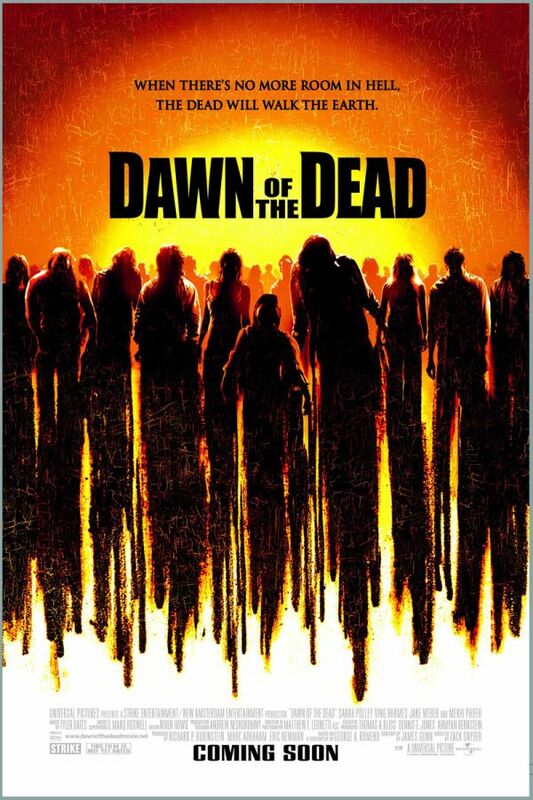 Dawn of the Dead font here refers to the font used in the poster of Dawn of the Dead, which is a 2004 horror movie about a handful of human survivors living in a Milwaukee shopping mall surrounded by swarms of zombies. The font used for the movie title in the poster is probably Impact, with serifs added to some letters. more details about Impact can be viewed here. In addition to Dawn of the Dead, Impact typeface is also used in the following logos, movie posters or album covers etc., including: Alan Wake, The Grey, Nike, Criminal Minds, Soul Eater, One Direction: This Is Us, Stepping Into the Fire, Total Blackout, Preacher (TV Show), Yellow, High Tension, Undefeated, Generation Iron, Marvel: Ultimate Alliance, Bad Company.